Darren Chin’s latest Parisian-style bistro may be casual, but the chef’s la jeune cuisine philosophy of first mastering the basics before aspiring for excellence still shines through. 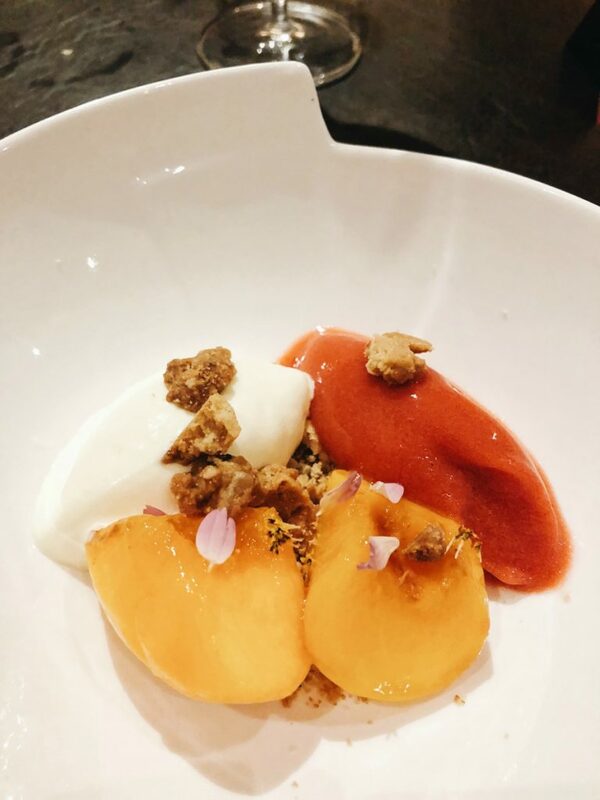 The star dessert, Seasonal Fruit, of poached fresh peaches with ice cream and muesli crumble certainly lives up to its reputation. The peach wedges are firm and soft, offering hints of acidity, giving way for the sweet Mara de Bois strawberry ice cream and savoury Philly cheese ice cream. Buttery and crunchy muesli crumble sprinkles complete this beautiful symphony.